The Mohegan Tribe is a sovereign, federally-recognized Indian Nation in Uncasville, Connecticut, with its own constitution and government. Since the opening of the world-class casino resort Mohegan Sun in 1996, the Mohegan Tribe has grown to be a successful, well established Connecticut-based employer, and has created a major economic engine for the state of Connecticut. It has now launched a business diversification arm to expand its business portfolio and evolve with a constantly changing economic landscape. For more information about the Mohegan Tribe, its government, heritage and contribution to American history, please visit our website at www.mohegan.nsn.us. PINE, is a regional trade association with more than 125 years of service to the Graphic Communications industry providing resources, advocacy, and education to our members. Its membership is composed of printers, mailers, packaging firms, graphic designers, direct mail firms, label printers, finishers, binderies and vocational schools – anyone involved in the production of printed materials. X-Rite is a global leader in color science and technology. With its wholly owned subsidiary Pantone, X-Rite employs more than 800 people in 11 countries. They offer a full range of color management solutions used by manufacturers, retailers, printers, photographers and graphic design houses to achieve precise management and communication of color throughout their processes. LMI Solutions is an R2 certified manufacturer, distributor and recycler of premium replacement toner cartridges, remanufactured printers and related imaging supplies serving resellers throughout the United States and Canada. LMI distributes more than 1,000 SKUs, including the most popular OEM products, and is a recognized global leader for Managed Print Services Infrastructure & Support. Canon U.S.A., Inc., is a leading provider of consumer, business-to-business, and industrial digital imaging. With approximately $31 billion in global revenue, Canon Inc. (NYSE:CAJ), ranks third overall in U.S. patents granted in 2014† and is one of Fortune Magazine’s World’s Most Admired Companies in 2015. Canon U.S.A. is committed to the highest level of customer satisfaction and loyalty, providing 100 percent U.S.-based consumer service and support for all of the products it distributes. Canon U.S.A. is dedicated to its Kyosei philosophy of social and environmental responsibility. In 2014, the Canon Americas Headquarters secured LEED® Gold certification, a recognition for the design, construction, operations and maintenance of high-performance green buildings. Toshiba is all about helping you manage communications from paper to digital. Their innovation, technology and creative solutions help you work more efficiently in today’s ultra-competitive business environment. With more than 200,000 employees globally and $63 billion in annual sales, Toshiba’s technological heritage spans 140 years. Toshiba dedicates 5% of its annual revenue to research and development, which has contributed to the success of the company’s digital imaging solutions products. Consistently recognized for innovation, quality and technological excellence, Toshiba has garnered more than 200 industry awards and product recommendations including being a fourteen-time “BTA Channel’s Choice Superior Performance” award winner and an eight-time winner of Marketing Research Consultant’s “Copier Manufacturer of the Year” award. Samsung is a digital leader, responsible global citizen, a multi-faceted family of companies and an ethical business. At Samsung Group and Samsung Electronics, they uphold a belief in shared responsibility holding themselves to the highest standards so that they can more effectively contribute to a better world. Samsung is dedicated to developing innovative technologies and efficient processes that create new markets, enrich people’s lives and continue to make Samsung a leader in shaping the history of digital revolution. In addition to quality products, Samsung has been awarded for their environmental initiatives. In 2013 Samsung received the Leadership Award for e-waste Collection and the Buyers Laboratory Award with “5 Star Ratings” for Environmental Performance of Print Devices. Océ has joined forces with Canon to create the global leader in the printing industry. Their customers can choose from one of the industry’s broadest range of products backed by best-in-class service and support organizations. Look to the new Canon-Oce combination for enterprise printing in the office and corporate print room, large format printing of technical documentation, signage and display graphics, production printing for marketing service bureaus and graphic arts, and business services for document process outsourcing. Ease of use is one of the primary characteristic of Océ equipment which is why the pay a great deal of attention to the interfaces between man and machine to make your long hours at the office go a little more smoothly. 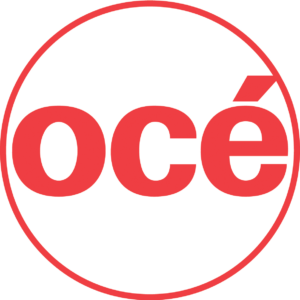 Building a sustainable business has always been one of the core business principles of Océ. They do this by developing products and services that add value to the document processes of their customers, while minimizing environmental impact. 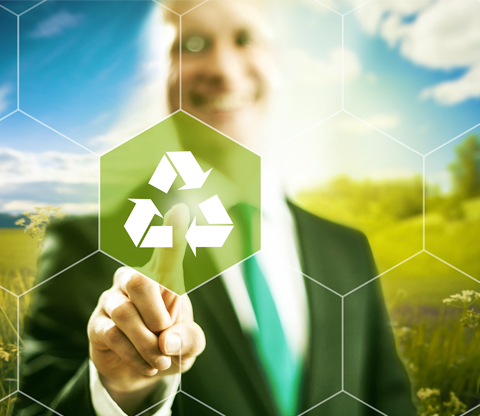 Océ’s lifecycle development program considers environmental impact in the entire product cycle, from product development, manufacturing, use and reuse through to the processing of waste and residual materials. Hewlett-Packard has been a leader in technology and corporate culture, inspiring innovators and entrepreneurs around the globe. HP is constantly improving on their already efficient products in order to bring ease to help meet the demands of the modern office. Most recently, the new HP Laser Jets use up to 53% less energy, take up to 40 percent less space and wake up, print and duplex in a fraction of the time. HP is determined to satisfy customer’s needs for smart, affordable solutions that translate into the daily chaos of a business. EFI is the leading transformation from analog to digital imaging with scalable, digital, award-winning products. EFI helps businesses and enterprises work more productively and cost-effectively with an integrated product portfolio consisting of industrial inkjet printers and inks, powerful digital front ends, precise color management tools, eCommerce, web-to-print and productivity software for business automation, and mobile and cloud printing products. 3D Platform (3DP) is a leading manufacturer of large-scale, industrial-class 3D printers. 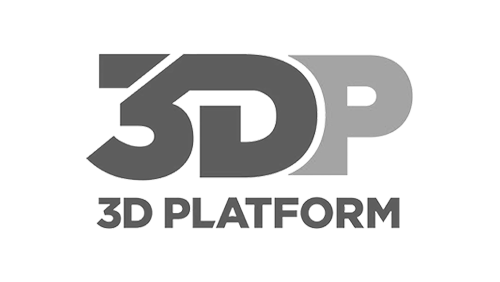 Based in Roscoe, Illinois, 3D Platform is a company of skilled mechatronics engineers who embrace advancements in technology to innovate, design, and build next generation equipment for rapid prototyping. 3D Platform is committed to building on industrial strength linear motion components, actuators, and motors while maintaining affordable flexibility with open market software and control solutions. Nuance believes in the power of intelligent systems, and quite specifically what the power can do for you. Nuance, the 2015 Stevie Awards winner for Delivering Intelligent and Innovative Customer Service Solutions, offers a wide range of solutions and products for businesses of all types. What they make frees people from having to take time from their busy work days to constantly learn the lingo of technology, and instead just let them communicate in the language of people. No more memorizing commends, sifting through endless menus of mediocre applications, or investing more time, money and energy into trying to make the systems actually do what you need instead of what they want. Nuance strives to maintain a low impact on the environment by focusing on three areas: Energy use, waste management and business travel. In addition, Nuance makes sure to minimize or mitigate any harmful effects from their activities. “The Better Way to Scan, Use and Share Documents” – eCopy ensures the safe and seamless capture of information. It delivers secure, streamlined records and document capture and collaboration workflows for your organization. Robust error prevention, recognition and correction features help eliminate data loss and ensure records are captured, classified and archived correctly – and safely. PINE, is a regional trade association with more than 125 years of service to the Graphic Communications industry providing resources, advocacy, and education to our members. Its membership is composed of printers, mailers, packaging firms, graphic designers, direct mail firms, label printers, finishers, binderies and vocational schools – anyone involved in the production of printed materials. Equitrac is now a division of Nuance and is the smarter way to print. Equitrac is a leading provider of print management and cost recovery software that enables organizations to instantly optimize and manage their printing environments – saving money, increasing document security and implementing green office initiatives. Equitrac solutions deliver a proven return-on-investment, helping organizations save 20% or more on their printing costs by reducing wasted paper and toner, and by seamlessly implementing secure and responsible capabilities with every office desktop. 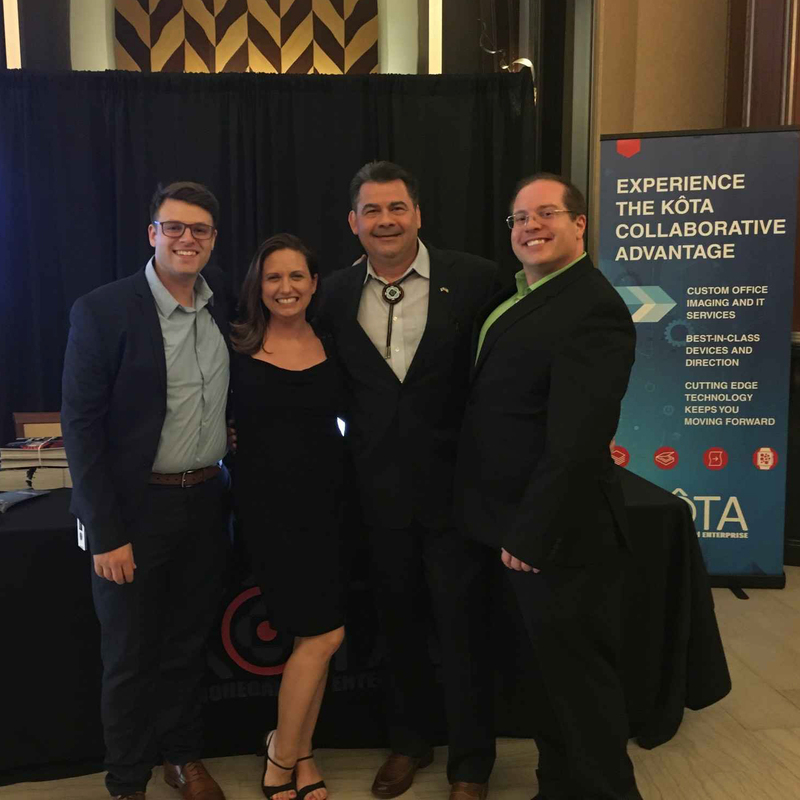 Copitrak has worked with more than 4,000 professional firms, delivering comprehensive cost-recovery solutions that deliver real business results. By simplifying document workflows, Copitrak helps manage expenses and enhance critical workflows. From user and account validation, to transaction collection and costing, to reporting and exporting critical data, Copitrak solutions deliver the flexibility of standard open systems and offer a leading solution capable of meeting the needs of the most challenging of today’s office environments. PaperCut first developed a print quota application to address a need in a in a local high school. Now, it’s grown to a full print management package used in over 100 countries and 50,000 sites across all markets. Their focus is to product innovative software that’s easy to use and accessible to everyone. They are proud of their engineer driven culture informed by close communications with their users. PaperCut is a fast growing international company, present in Australia, the US and the UK, that is supported by a global network of resellers and partners. Sepialine puts the “M’ in MPS (Manage Print Services). Sepialine helps MPS dealers manage small and large format printers with ease. MPS is more than just printing. It’s about showing your customers value. Bring intelligence to your customers’ print environments with Argos, and they’ll print more efficiently, protect sensitive information and lower costs. Companies around the world, big and small, use their software every day to lower costs, reduce waste, raise user awareness, meet sustainability and green goals and increase profits. Argos software is built to work well for everyone involved. MaxxVault LLC provides software solutions for the management, distribution and control of corporate documents. The MaxxVault repository helps both small and large businesses save money, improve efficiency, increase customer satisfaction and meet regulatory compliance through industry leading document management. It is an open system; built using the latest technology which provides enhanced security, dependability and interoperability with existing systems. MaxxVault Enterprise aims to provide the means for businesses to streamline their document processes with tools that remove manual processes, wasteful paper excess and human error. Ipro is a global leader in development of advanced software solutions used by legal professionals to streamline the discovery process. Corporations rely on Ipro’s Enterprise platform to organize, review, process and produce litigation data of vast sizes and complexity levels more efficiently and cost-effectively than ever before. Although they have seen first-hand the dramatic changes in electronic discovery and litigation management landscape, Ipro’s mission has remained the same: To put their clients in a position to win. X-Rite is a global leader in color science and technology. With its wholly owned subsidiary Pantone, X-Rite employs more than 800 people in 11 countries. They offer a full range of color management solutions used by manufacturers, retailers, printers, photographers and graphic design houses to achieve precise management and communication of color throughout their processes. Their products and services are recognized standards in the printing, packaging, photography, graphic design, video, automotive, paints, plastics, textiles and medical industries. Celebrating 25 years of innovation, Onyx Graphics is dedicated to helping customers increase productivity, reduce costs and gain a competitive edge with superior print and color quality. Its passion for delivering superb color led to the development of ONYX Color, Onyx Graphics’ own color engine optimized specifically for large format inkjet printing. Global channel partnerships and longstanding relationships with printer manufacturers position Onyx Graphics as a market leader in powerful, reliable, large format printing workflow software. Eizo is a visual technology company that develops and manufactures high-end display solutions. Eizo integrates hardware and software technologies with consulting, web hosting and other services to help customers in business and other fields work more comfortable, efficiently and creatively. Headquartered in Japan, Eizo has R&D and manufacturing facilities in Japan, China, Germany and the US. With industry-leading image quality and energy-saving features, their FlexScan monitors will help you work more productively while reducing your running costs. Their business enterprise ensures quality and reliability, ergonomic design for extended use and a 5-year warranty. Eizo established the EIZO Group Principles of Conduct which includes seven promises with stakeholders as well as their standards for fulfilling their corporate social responsibility. They are also part of the United Nations Global Compact and must follow their Ten Prinicples. Duplo manufactures a complete line of print finishing equipment from all-in-one slitter/cutter/creasers, folders, and perfect binders to sheet feeding, booklet making, and saddle stitching systems for offset and digital printers in both high production and small office environments. Their mission is to help keep print alive in a world where it can co-exist with the ever-changing channels of communications. Their purpose is to turn paper into impactful presentations and enable the printer to carry the message to higher levels. They do this by providing solutions that help printers reach their full potential and take advantage of new opportunities in the markets they serve. 3D Systems provides the most advanced and comprehensive 3D digital design and fabrication solutions available today, including 3D printers, print materials and cloud-sourced custom parts. Its powerful ecosystem transforms entire industries by empowering professionals and consumers everywhere to bring their ideas to life. 3D’s products and services disrupt traditional methods, deliver improves results and empower its customers to manufacture the future now. By its very nature, 3D printing is a sustainable technology empowering 3D systems printers to produce affordable products efficiently. Innovation is one of their core competencies. Along with continued focus on new, better and greener products through technology and services, their goal is to prevent and manage waste with existing products. For more than half a century, Xerox has been a leader in document technology and services. They continue to build on this heritage of innovation. They are now the world’s leading enterprise for business process and document management, offering global services from claims reimbursement and automated toll transaction to customer care centers and HR benefits management. The new Xerox is dedicated to innovation, service and giving their customers the freedom to focus on what matters most: your real business. Xerox has been named by InfoTrends as a Leader in Managed Print Services who deliver the most broadly differentiated offerings in the market. At Xerox, sustainability is their way of doing business and would like you to have the opportunity to do the same which is why they focus on reducing energy, preserving biodiversity, preserving clean air and water, preventing and managing waste and ensuring health and safety. 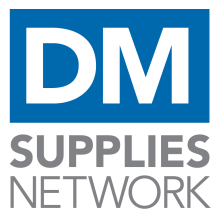 Supplies Network is a wholesale distributer offering IT consumables, equipment and an award-winning Managed Print Services program, operated by Distribution Management (DM). Supplies Network was an early innovator in Managed Print Services, the company leverages top industry talent, a robust IT-Development team with experience in packaging SaaS services, and relationships with all segments of the print-provider value chain including major supplies manufacturers and dealers. In addition to being a leader in print management, Supplies Network specializes in IT supplies, equipment, office accessories and data storage media from 80 leading manufacturers. In 2013, Supplies Network was named Distributor of the Year by TriMega’s INTEC Group. They promote sustainability and minimization of the adverse environmental impacts of their operations through relationships with their key suppliers and manufacturers, as well as internal “green” policies. nQueue’s Cost Recovery (BillBack) solutions assist companies by enhancing the automation and processing of any operational and administrative expenses, including print, copy, scan, phone, fax and more on an extremely powerful platform. Its Document Scanning & Routing (ScanRoute) solutions enable firms to capture, format, route and control scans to reduce costs associated with document retention and retrieval. nQueue’s software offerings, branded iA for Information Accountability, can be embedded directly into multi-function devices or reside on tablet computers or terminals to provide clients with the knowledge required to run their businesses more profitability. nQueue is a wholly owned subsidiary of Reckon Limited and is the only truly global cost recovery company. CGS publishing Technologies International GmbH is a world leader in digital proofing, color management and production workflows for the professional graphics arts market. When CGS was founded, the production of magazine and catalog pages was still a manual and time-consuming process. This sparked the original CGS business idea. Now the aim of CGS is the development of powerful proofing and workflow solutions. CGS has maintained long-term development partnerships that guarantee ORIS systems will always benefit the most from the current developments in digital printing devices. The company cooperates with the leading manufacturers of spectral measurement technology, integrating these devices into the ORIS products for color measurement and analysis. In the area of proofing media, CGS entered R&D joint-ventures with selected manufacturers worldwide in order to develop innovative proofing media exclusively for CGS. ESP/SurgeX has worked together for 30 years to manufacture premium energy intelligence and power protection solutions. Their award-winning portfolio helps businesses worldwide to lower service costs and improve the reliability and profitability of critical equipment. Their portfolio includes network administration and device management, power protection solutions, battery backup and specialty power solutions. Companies rely on their patented technology to reduce downtime, manage services and enhance operations of their business. Zoom has built the most innovative video conferencing solution with the world’s most talented team. Eric S. Yuan, founder and CEO, is a web conferencing industry leader who was the heart and soul of the WebEx product from 1997 to 2011. Eric left WebEx in 2011 with an all star engineering team to build the next generation of online video conferencing. Zoom’s engineers have over 900 years of combined experience working on real-time collaboration software. Almo is a third generation, family owned American company based out of Philadelphia. It is a value-added technology and professional audio-visual distributor of products and services who specializes in serving professional A/V integrators, dealers and consultants. They are the nation’s most advanced commercial audio visual distributor serving the needs of professional integrators, resellers and consultants. Almo Professional A/V distributes all the leading displays and peripherals. “Red Eagle” was selected as Chairman in October 2013 after a 25 year career in the United States Army with extensive leadership and organizational management experience in deployed combat environments. is the CFO of Mohegan Holdings LLC, and previously held positions as Director of Strategic Initiatives, Corporate Secretary to KOTA, SVP of Administration and Tribal Manager. She has worked on Federal Recognition, the Land Trust Application, pre-opening of Mohegan Sun, and the establishment of the programs and services for the Tribal membership. came to KÔTA as President and to LDI as Chief Sales Officer after serving as Senior Vice President of Samsung Electronics America. In addition, his industry experience includes over 19 Years in various senior management roles at Canon Business Solutions and Canon USA and 16 years at Xerox Corporation. is the Founder, President and CEO of LDI Color ToolBox, with over 40 years of experience in the office technology industry. Mr. Blaine holds leadership positions in national provider organizations representing the billion dollar digital office technology marketplace. The Alzheimer's Association is the leading voluntary health organization in Alzheimer's care, support and research. Their mission is to eliminate Alzheimer's disease through the advancement of research, to provide and enhance care and support for all affected, and to reduce the risk of dementia through the promotion of brain health. The American Heart Association is the nation’s oldest and largest voluntary organization dedicated to fighting heart disease and stroke. They are the nation’s leader in CPR education training and help people understand the importance of healthy lifestyle choices. They provide science-based treatment guidelines to healthcare professionals to help them provide quality care to their patients. They also educate lawmakers, policymakers and the public as they advocate for changes to protect and improve the health of our communities. Connecticut Association of Nonprofits (CT Nonprofits) is the largest membership organization in the state dedicated exclusively to working with nonprofits in Connecticut. By connecting organizations with information, education, advocacy and collaboration, they help members focus their energy on the people and communities they serve. The Connecticut State Golf Association (CSGA) functions as an extension of the USGA and provides stewardship for amateur golf in Connecticut. Founded in 1899, it is the country’s oldest state golf association and is based at Golf House in Rocky Hill where it shares offices with The Connecticut Section of the Professional Golf Association. The CSGA is a non-profit 501(c) 6 organization. The Connecticut Women’s Consortium (CWC) is a driving force in the education and training of the behavioral health community. They promote trauma-informed, gender-responsive care as a best practice that values understanding, empowerment, and safety for those struggling with behavioral health issues such as mental illness, addiction, and poverty. The Credit Union League of Connecticut (CULCT) is a statewide non-profit trade association serving credit unions throughout Connecticut. The League is committed to ensuring that Connecticut's consumers choose credit unions as their best financial partner. The Credit Union League of Connecticut is a valued partner in making Connecticut's credit unions successful by removing barriers, creating awareness, and fostering service excellence. Easterseals is changing the way the world defines and views disabilities by making profound, positive differences in people’s lives every day. They provide community-based resources and services to help people with disabilities, caregivers, veterans and their families live, learn, work, play and act in their communities. The Easterseals community paves the way to a fuller life and a more inclusive world for today’s disabilities. Frontier Business Edge provides data, voice, video and equipment solutions to businesses of all sizes. They pride ourselves on their unmatched customer service and commitment to helping their customers achieve success. The Mission of March of Dimes is to improve the health of babies by preventing birth defects, prematurity and infant mortality. Prematurity is the leading killer of America's newborn babies. The March of Dimes is here to educate every mom on how to have a healthy full term baby. Established in 1908, Mental Health Connecticut (MHC) is a statewide, nonprofit organization whose mission is to improve mental health for all Connecticut residents. Through advocacy, education, and service, MHC empowers people to promote mental wellness, instigate meaningful systems change, and engage in mental health recovery. TEEG began in 1987 as a collaborative effort between local churches, government and caring community members and was founded as the Thompson Ecumenical Empowerment Group. TEEG’s mission is to strengthen the local community by Empowering individuals to live independently; Strengthening families to live respectfully; Engaging the community to work collaboratively; and Connecting resources to promote a better future for all. United Way Worldwide is the leadership and support organization for the network of nearly 1,800 community-based United Ways in 41 countries and territories. United Way works to advance the common good by focusing on education, income and health. The United Way movement mobilizes millions to action—to give, advocate and volunteer—to improve the conditions in which they live.